Is your garage door broken, loud, poorly insulated or unattractive? We can help! I am a Garaga advocate not only because of the multiple designs the company offers, but also because of the legendary quality of their garage doors. Garaga continuously develops new technologies to stay ahead in terms of garage door quality, which has earned them the position as leader in the industry. These features ensure that your garage has the best possible insulation and provides an airtight barrier to keep your garage at a comfortable temperature, all the while avoiding leaks. A well-insulated garage also has the benefit of saving energy. When warm air cannot get out, your heating bills remain low! 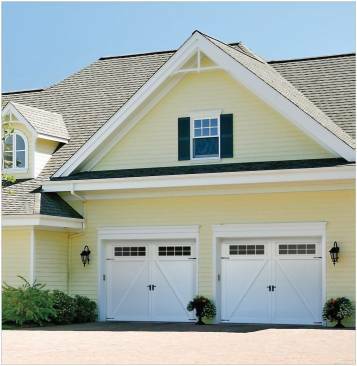 Despite their affordable price, we realize a garage door is an important investment. With Garaga’s high quality steel and 5 coats of rust protection, rest assured that your door will last for many years and require minimal maintenance. Moreover, the 10,000‑cycle torsion springs we install will provide many years of normal residential performance, and the high quality brackets we use to attach the tracks to the wall should not require any adjustments over the years. 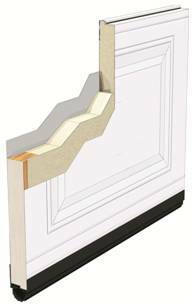 I invite you to watch our lab videos to see for yourself the superior performance of Garaga doors. Garaga doors are built exclusively with high quality components and engineered to withstand extreme weather, making them the most rugged and strongest garage doors in the industry. With tracks that can handle high winds and a solidified structure, your new Garaga door will bring you peace of mind. Visit our Image Gallery or our Design Centre to see the multiple models available to you, and remember that Garaga doors are custom-made to fit any dimension garage opening. We also poffer free estimates, request a free quote now!